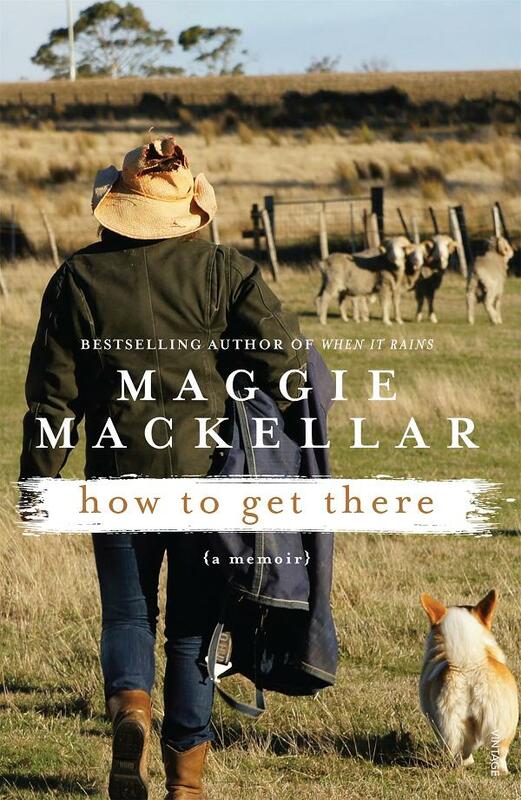 Rural writer Maggie MacKellar has been through a lot. In her second memoir, How to Get There, she writes about the challenges she’s faced, and how she’s made her life anew. A historian, McKellar was pregnant with her second child when her husband committed suicide. Her mother passed away a short time later due to aggressive cancer, and McKellar was left alone with two children (she writes about this in When It Rains). How To Get There continues a decade later, in a time of change, renewal, and progress. 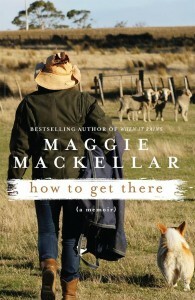 McKellar meets a new man and moves with her children to a Tasmanian farm; an entirely new place. How to Get There is the story about trying to overcome fears, watching children grow, and the relentless cycle of change. In other words, about life. McKellar is scared of what is to come and what is beyond her control. The family unit is sacred, and she worships at its altar. A sensitive person and emotionally intelligent, McKellar views her experiences as personal attacks. It’s understandable, but it eventually becomes nonsensical and a bit absurd. She reaches a degree of victimization that becomes too much. Homesickness is a universal experience, but McKellar pushes the boundaries of drama. This exaggeration becomes a drag within the story and makes it a dull read. The humourless perspective does not entertain. McKellar isn’t depressed, but caught on the same reel over and over. Her extremely harsh memories allow her to live with uncertain hope for the future. It seems to me that she could’ve learned more from her circumstances if she had applied a sense of humor! McKellar never really adapted to her new situation; her approach to life was dry, fixated on fear that didn’t allow her to move forward. It’s not something she appeared to be aware of but rather something that comes across to the reader as her story continues. The book is repetitive in structure; MacKellar would get dispirited, find something to point out the good in her husband, children, or house. Then she would get downhearted again, repeating the cycle. Her approach is cheerless and too serious, and that makes the storyline drab and a little flat. MacKellar is a good at her art. Her writing is descriptive and down-to-earth, with colourful words that flow easily. She makes occaisonal jumps into the past and narrates her childhood or her relationship with her parents. This causes a vivid relation between her personal history and day-to-day experience. The descriptions and facts about farm life and the Tasmanian country are absorbing and give the plot depth. I wish I could say How To Get There is an inspirational story of a woman who overcomes the fears everyone faces sooner or later, but in truth it’s the very realistic journal of an insecure woman who never deals with anxiety. While exhibiting life’s ups and downs, the narrative is uncensored and inconclusive. Maggie MacKellar is a good writer, and she should employ her talent to create a story rather than relate the present. She is a historian - her novels would probably prove to be more passionate and spirited. How To Get There could’ve been more interesting if only she had put things into perspective or described other aspects of her life. This is not an inspirational read; though it was a memoir with potential, it turned out to be colourless and flat. This entry was posted in Arts, Books and tagged book reviews, books, memoir. Bookmark the permalink.